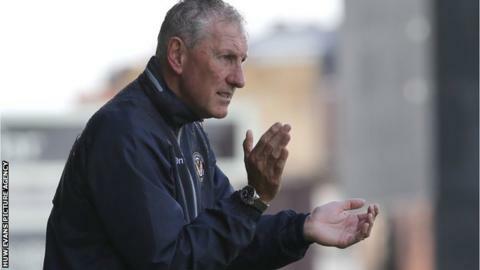 Terry Butcher says he is not concerned about Newport County's League Two position despite only securing one point from their opening three games. Newport, 21st in the table, face unbeaten league leaders Leyton Orient at Rodney Parade on Saturday. "Teams are finding their form and this new team is finding its feet with each other and with the league as well," he said. "Obviously they [Leyton Orient] are going to be confident. They are the league leaders and we'll just have a go at them. "We're at home, we've got a noisy crowd behind us again. If we do something on the pitch that excites them then noise levels will rise and our confidence will rise too."